In Delhi, gold of 99.9 per cent and 99.5 per cent purity bounced Rs 200 each to Rs 31,550 and Rs 31,400 per 10 gram, respectively. Sovereign however ruled flat at Rs 24,500 per piece of eight gram. Globally, spot gold was down 0.2% at $1,193.15 in the early-day trade. Silver too advanced by Rs. 175 to Rs. 37,950 per kg. Gold had lost Rs. 160 in the previous two days. 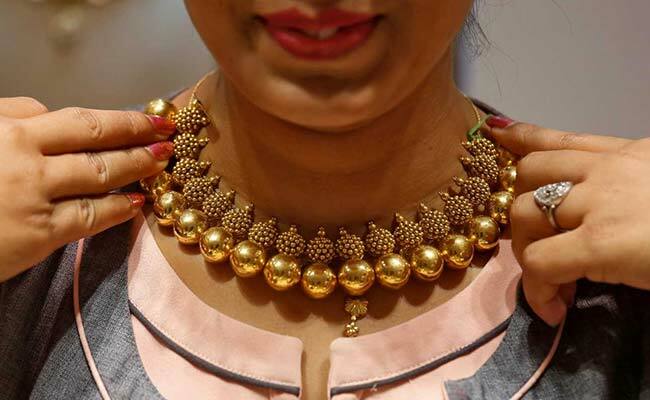 Gold overcame a sluggish global trend by surging Rs 200 to trade at Rs 31,550 per 10 gram on Monday on increased buying by local jewellers, reported news agency Press Trust of India. Furthermore, a depreciating rupee which plunged to a fresh record low of 72.67 against the dollar, making imports costlier, fuelled the upmove, traders said. Silver too advanced by Rs 175 to Rs 37,950 per kg, supported by increased demand from industrial units and coin makers. Increased buying by local jewellers to meet rising demand for ornaments drove gold prices, but a weak overseas trend kept the gains limited. 1. Globally, gold fell for a second straight session on Monday as expectations of an interest rate hike by the US Federal Reserve in September and fears of an escalation in US-China trade tensions kept the dollar firm, reported Reuters. Spot gold was down 0.2 per cent at $1,193.15 in the early-day trade, having declined 0.4 per cent in the previous session. US gold futures fell 0.2 per cent to $1,198.60 an ounce. 2. In Delhi, gold of 99.9 per cent and 99.5 per cent purity bounced Rs 200 each to Rs 31,550 and Rs 31,400 per 10 gram, respectively. The precious metal had lost Rs 160 in the previous two days. 3. Sovereign however ruled flat at Rs 24,500 per piece of eight gram. 4. Silver ready prices too were higher by Rs 175 to Rs 37,950 per kg and weekly-based delivery by Rs 160 to Rs 37,325 per kg. 5. Silver coins however continued to be traded at the previous level of Rs 72,000 for buying and Rs 73,000 for selling of 100 pieces.